Never underestimate the saying, the devil is in the detail'. It's a phrase which has remained emblazoned on my mind ever since the heady heights of my university days, when a wise lecturer once imparted what I now know to be an invaluable piece of creative advice. How so...? 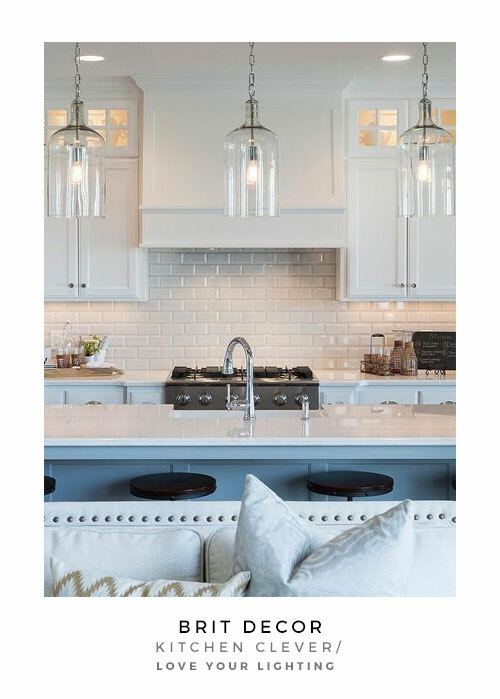 When it comes to planning and designing any room (today we're honing in on Kitchen lighting with the folks over at Homebase), it's easy to focus purely on the larger headline grabbing items such as those all-important kitchen units, an all-singing all-dancing extractor hood, or perhaps an American-style double refrigerator? The list of potential hardware and 'bling' goes on, and rightly so. However, neglecting to give the finer details, such as lighting, full consideration during the planning and design stages, can result in a lacklustre scheme which may not deliver quite the wow factor you were hoping for. 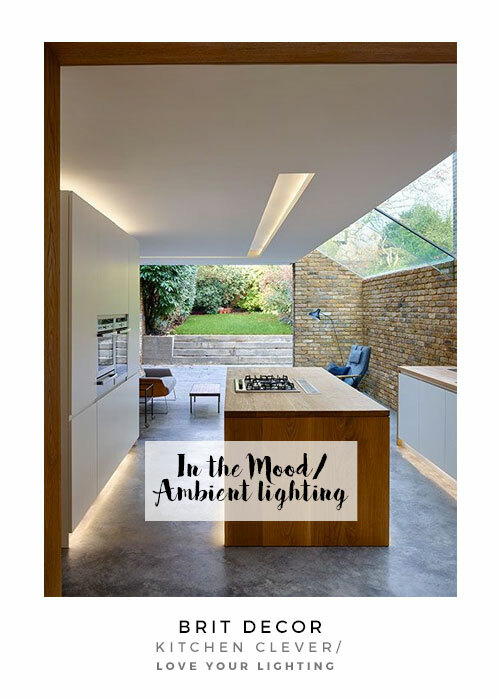 It's not only about that incredible jaw-dropping feature light (although I'm the first to swoon over one of these), but investing some serious thought process into task and mood lighting will pay dividends by enhancing the overall design of your kitchen. 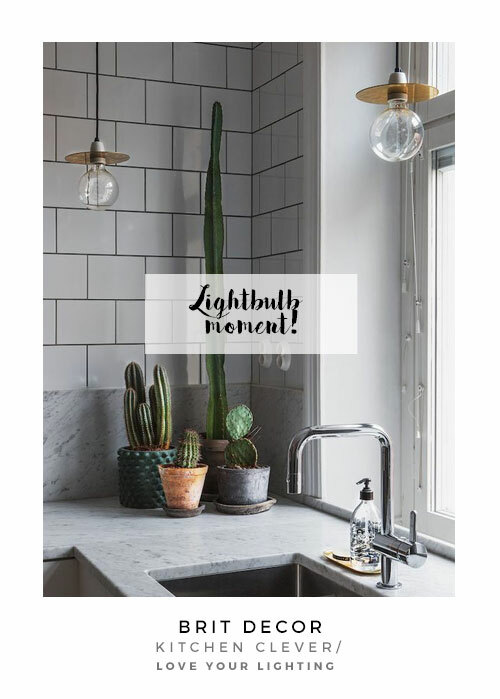 If there's a particularly beautiful design element to your kitchen, consider using lighting to 'signpost' visitor's gazes to the features that you most want to show off. 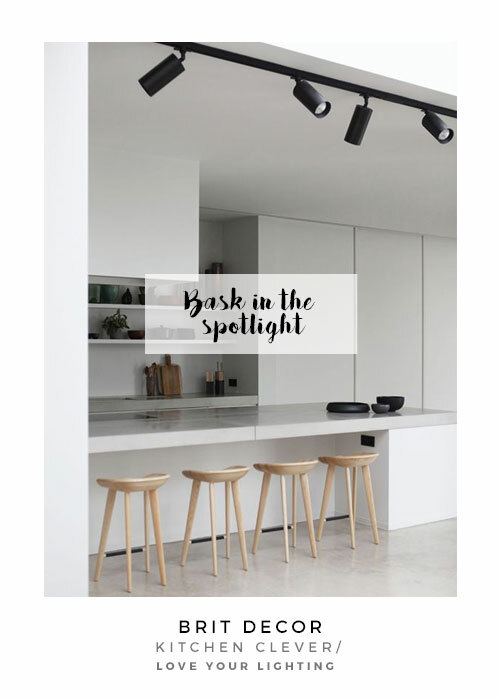 For those culinary kings and queens amongst us, adding task lighting, which emits adequate light for prep and cooking, is crucial and downlights & spots are best for the job. Whilst task lighting tends to be light & bright, for obvious reasons, it's good to consider including some ambient lighting too. 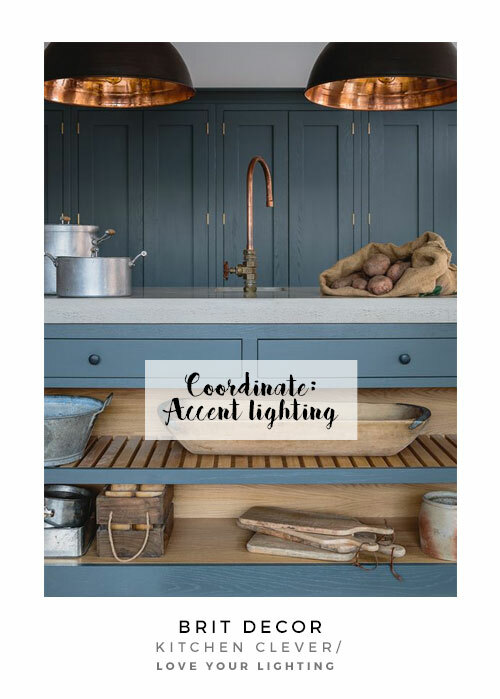 Under-cupboard strip lights and floor lighting can, at the flick of a switch, totally transform a kitchen into a far more relaxed space. You can emphasise the chilled-out vibe with the help of less intense, lower wattage lighting. In terms of colouring, look at either cooler or warmer hues, which is as easy as selecting the right shade of lightbulb, literally! 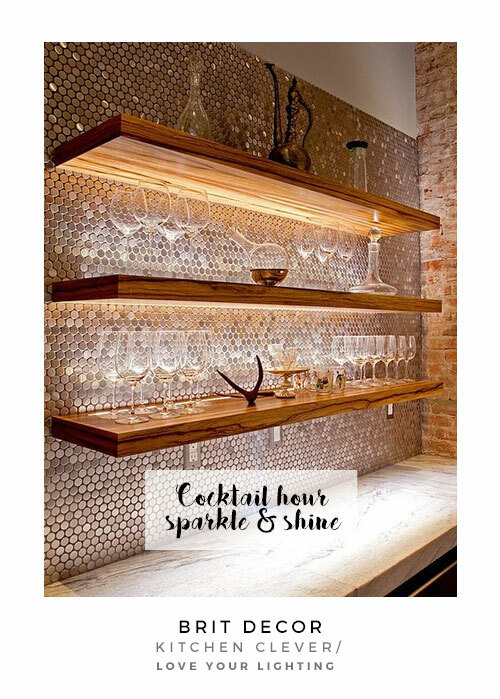 If like me you are an avid collector of beautiful ceramics and glassware, consider applying some subtle lighting to cast a gentle spotlight on your favourite things in the kitchen. This will not only create an eye-catching feature, it will also add a personal touch. 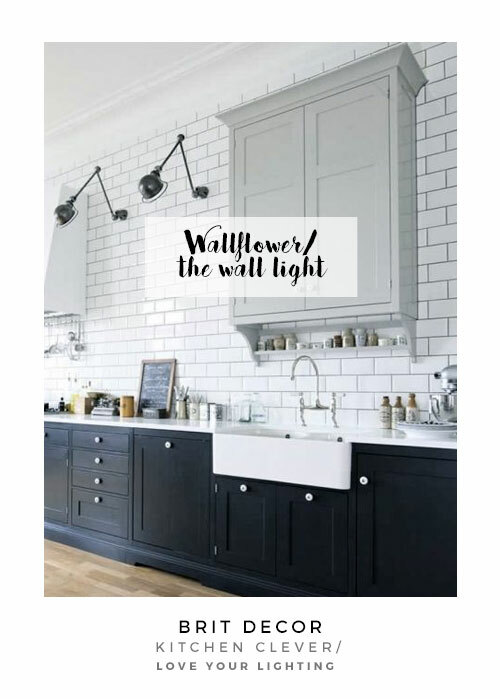 A key trick to help you achieve the dream kitchen that you've always wanted is to actually visualise the finished scheme, in daylight AND after dark, which will ultimately aid the process of choosing the most appropriate lighting. 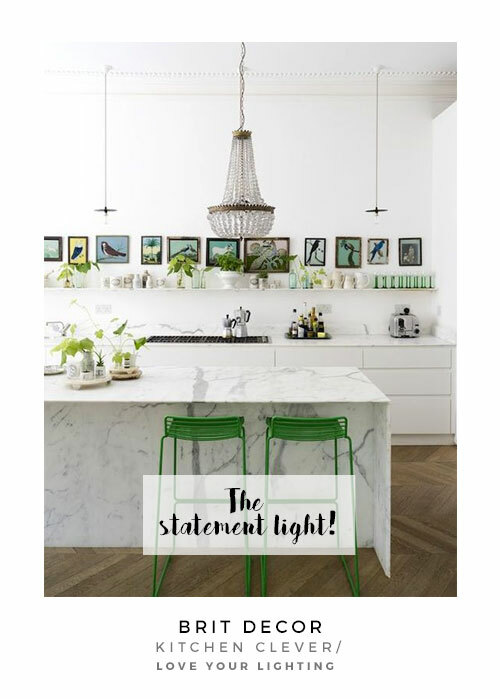 This post about kitchen lighting is kindly sponsored by Homebase so please take a peek at their full range of lighting!